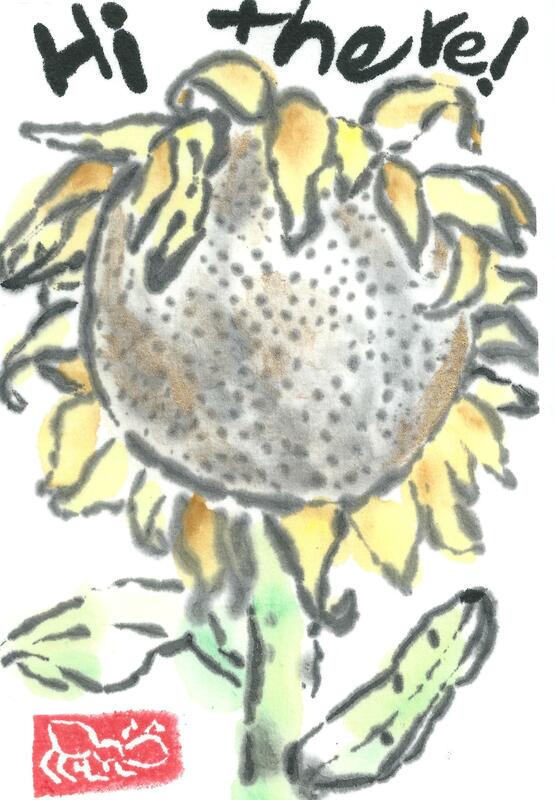 Sunflower, drawn after walking home along a street with sunflowers taller than me. Also, it just seemed appropriate — I haven’t posted much lately, beyond what’s been in my inbox. I have finally had some time and inspiration to paint , and just wanted say hi again! 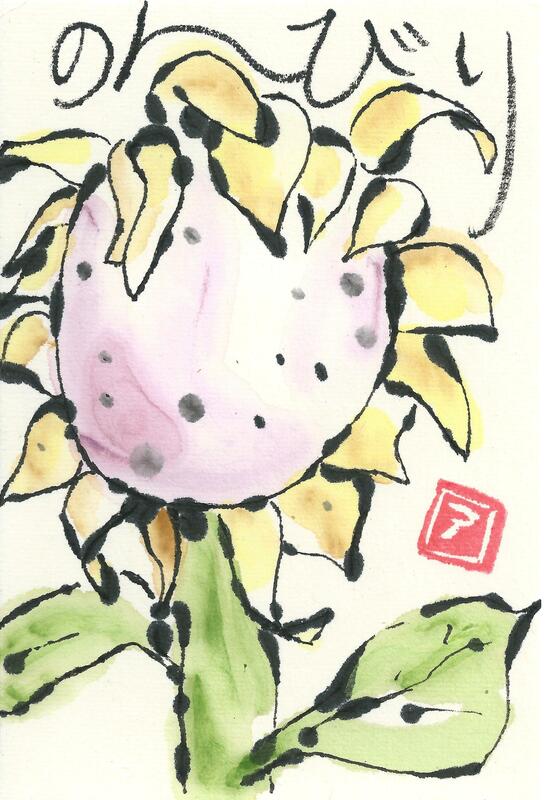 This second card uses a favorite Japanese word of mine, nonbiri (のんびり）, and I used a bamboo dip pen rather than a brush to paint the black ink, resulting in very blobby lines. Yay! Look for more later this week… Also, let me know if you’re interested in these for your craft fair. How pretty! Also: got the awesome beet cards. Your work is quite beautiful! Thank you so much for the lovely gift Alison! Thanks! And so happy the cards go there, thanks for the inspiration!